Draymond Green is ready to return for the Golden State Warriors. 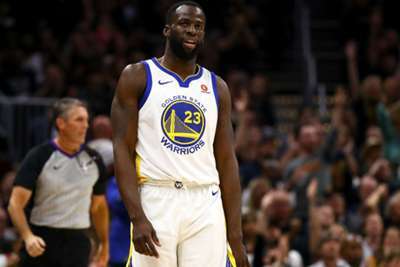 Warriors coach Steve Kerr told reporters the 28-year-old forward will be back on the court when the Warriors host the Minnesota Timberwolves on Monday. Green has been out since November 15 with a toe sprain. "Just excited to be back on the floor," Green said after Sunday's practice, via ESPN. "It's been a while since I really played basketball, so I'm excited." Green was involved in a heated verbal exchange with team-mate Kevin Durant during an overtime loss to the Los Angeles Clippers in mid-November and their argument reportedly continued in the locker room after the game. The team then suspended Green for their win over the Atlanta Hawks one day after the incident. He also missed a pair of matchups in early November with the toe sprain and returned for one game after the suspension before being sidelined again with the injury.